There were 4,735 pedestrian deaths in the United States in 2013, and more than 150,000 emergency room visits because of pedestrian-vs.-vehicle accidents. Many of these accidents, about half, involved pedestrians or drivers who were drinking alcohol, says the U.S. Centers for Disease Control and Prevention. Thirty-four percent of pedestrians had blood-alcohol content of 0.8 percent or more, and 15 percent of automobile drivers did. Another factor was speed of the vehicle—with a vehicle coming at high speeds a pedestrian may not have time to jump out of the way or may not even see it. Higher speeds also result in more severe injuries. Even if a pedestrian was struck while drunk, however, part or all of the liability may lie with the motorist under a concept called comparative negligence. This is true especially if the pedestrian was in a crosswalk or crossing at an intersection. Every case is different. About 70 percent of pedestrians in vehicle accidents are killed and injured in urban settings and at non-intersection areas. 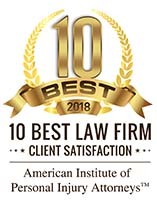 If you were struck by a vehicle while walking, consider contacting Krasney Law of the Inland Empire and Coachella for a free initial consultation to see if you have a case. The California Vehicle Code law says pedestrians have the right of way at crosswalks and intersections, but that does not mean a driver of a vehicle is automatically liable if a pedestrian quickly leaves the curb and steps in front of the automobile. It is a myth that the pedestrian always has the right of way. 21950. (a) The driver of a vehicle shall yield the right-of-way to a pedestrian crossing the roadway within any marked crosswalk or within any unmarked crosswalk at an intersection, except as otherwise provided in this chapter. (b) This section does not relieve a pedestrian from the duty of using due care for his or her safety. No pedestrian may suddenly leave a curb or other place of safety and walk or run into the path of a vehicle that is so close as to constitute an immediate hazard. No pedestrian may unnecessarily stop or delay traffic while in a marked or unmarked crosswalk. California law requires motorists to stop when approaching a crosswalk where another vehicle is stopped. The idea is that the motorist may be waiting for a pedestrian, who is unseen by the approaching vehicle, to cross the road. 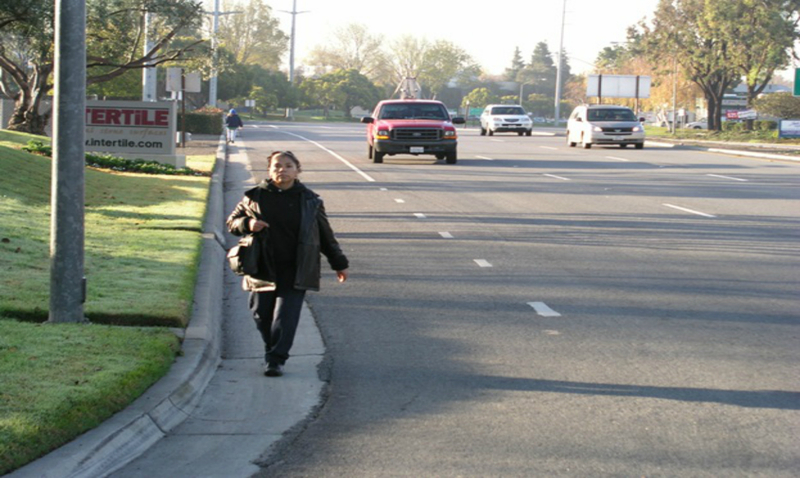 Pedestrians do have the right of way on sidewalks. Motorists must yield the right of way on sidewalks. California courts have ruled that drivers must be more careful with child pedestrians than with adults, especially in areas where children frequent, including schools, playgrounds, parks and apartment buildings and other residential areas. If your child has suffered injuries or death from an accident involving a vehicle, you may be eligible to file a lawsuit. Many times insurance companies argue that the pedestrian darted out into traffic. In these cases it can help to have a pedestrian accident attorney help fight the insurance company to get the compensation you deserve for lost wages, medical bills and sometimes pain and suffering. Vehicle accidents can be devastating for pedestrians. They often suffer physical and psychological trauma. In many cases the physical injuries are serious because the pedestrian does not have the protective cabin that motorists have. One study in Europe found that 50 percent of pedestrian accident victims who suffered injuries did so on their lower extremities, 38 percent on the head, face and neck and 27 percent to the upper extremities. Pedestrian injuries may include broken bones, torn cartilage, traumatic brain trauma, spinal injuries and internal injuries. Psychological effects from such accidents include insomnia, anxiety, panic attacks and depression. Increasing visibility at night by wearing reflective clothing and carrying a flashlight. Crossing at an intersection or designated crosswalk when possible. Walking on a sidewalk or a path is the safest, but if those are not available, then walk on the shoulder, facing oncoming traffic. Before crossing the road, look left, then right, then left again to make sure there is no traffic. If you were injured by a car or truck while walking, Krasney Law: Personal Injury Specialists of San Bernardino and Los Angeles can advise you of your legal rights, how to proceed with an insurance company, or we can explore the possibility of bringing a lawsuit. We collect no fees unless there is a monetary recovery or your case goes to trial. An attorney can help you obtain the maximum compensation. Some estimates say lawyers double the compensation in accident cases, even after the client pays the contingency fees. Our phone number is (909) 380-7200. 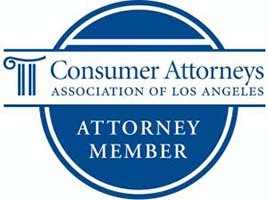 You may also contact us on the Web at http://krasneylaw.net/contact-us/. Our main office is in San Bernardino but we represent clients in personal injury cases all across the state of California.